An appealing Honey Locust tree, Sunburst, (Gleditsia triacanthus 'Sunburst') is a particularly unusual and colourful tree with almost flourescent yellow, dainty fern-type foliage which marks this tree out as something rather special. As the season progresses, this foliage darkens. Well-suited to small gardens in towns and cities, because it copes well with pollution, we recommend this tree. A small tree with a height of up to 4 metres (13 foot) after 10 years. 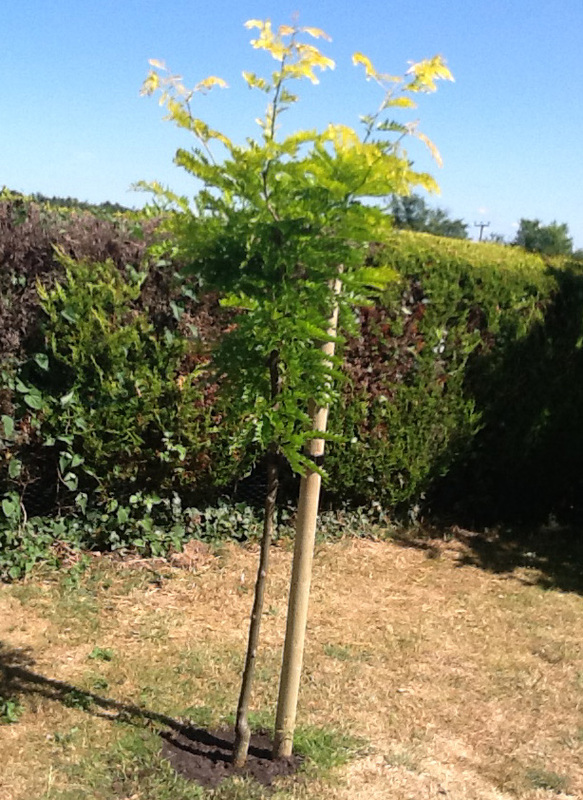 Our Honey Locust trees (Gleditsia triacanthus Sunburst) are supplied at a height of between 1.5 and 1.7 metres in a 12 litre container, which means that the tree can be planted any time of the year and with better results than either bare-root or rootballed trees.